Good variety of good recipes to try. Great selection of recipes in the free version. Actual tasty recipes also, using fresh ingredients rather than ingredients all dumped from cans etc. Direct many people to this app especially if they haven’t used a recipe app before because of its usability and tasty recipes. Great for getting ideas, using leftovers, shopping lists and more. The reviews are wonderful too. The recipe scan option is fabulous. Love it! I love this app. I use it all the time. Sometimes I am just looking for ideas on something to cook, but I have followed many of the recipes on the app and they always come out great! Luv the app, especially when it feels like you’re eating the same thing every 30 days! Lots of quick, simple recipes to create variety! I absolutely love ❤️ love ❤️ love this app! I can type in “ground beef”and it’s gonna give me dozens of recipes with ground beef! I can type in “chicken” and it’s going to give me dozens of recipes for chicken! I love the starring system! It lets you know which recipes are the best! I have yet to try a recipe I didn’t love from here! There’s just so much! And it’s so easy to use!! Thank you Big Oven for making cooking fun! And for giving me and my family so much more variety! Easy to use, Big Oven has a great amount of recipes, which some have become our favorite go to family meals. I love the Try and Favorite options as well as the ingredient store lists that can be created. Try the Good and Chewey Chocolate Chip cookies! They are to die for! Does not work well with iPhone. I love this app. I used it a lot with my Android before, but lately it has stopped working with my iPhone 7 Plus. It works fine for 5 minutes then crashes. Please fix. I have many cookbooks in my library, digital and soft cover. I have recently started to rely on BigOven more and more for recipes, always with great satisfaction. Hope they get this fixed! This is my favorite app to go to when I'm trying to decide what to make for dinner or when we want to try something new... my ultimate favorite part is the apps use up leftovers recipe search, helps use up ingredients before they go bad. Keep up the great work! Love that I have all my recipes are with me wherever I go. It is fantastic to so easily add ingredients from the recipe. This is my favorite app for recipes and planning meals for my family! Every recipe I have made has been great! A cooking app that requires you create an account? Stupid. It wouldn’t even let me create one when I tried. Waste of time. I love the Big Oven App. I use it every time I need to search for a recipe, sometimes almost daily. It is so easy to use and the pictures are very helpful. There are a variety of recipes and I can always find at least one that works for me. Searching is much easier than in other apps. The Big Oven App is the first place I look when searching for a particular type of recipe online. Great for Solo... Families? Meh. So I'm a premium user and Big Oven is awesome for me. I like that it let's you adjust how many probs you're making then automatically calculates grocery list. So if a recipe calls for 1/4 Tblespoon and you're making a double portion...BOOM! Your grocery list has 1/2 Tblespoon. Nice. However... Adding my wife allows her and I to share the grocery list only!! She asks me all the time for what recipes I'm using. You have to fix that. The ability to share or pin recipes to each other's views (esp. within a premium family plan...) would make this a much better app and would seem a no brainer to add a "Family Favorites" folder for instance. Why is it the app flashes as I’m looking at recipes? It doesn’t stop until I close out if it and then go back in. If it keeps doing this - it’s a big waste of my time and I’ll delete it. I have problems with links in the app. I don't think buying Big Oven Pro will stop the problems nor do I want to buy it to find out. I just tried the pro version and am getting the same. The app is ok but I wanted it to transcribe my grandmothers handwritten recipes. The recipes are neatly written but what I got back from big oven was a completely different recipe than what I submitted. Not even close to the original. Thumbs down on that feature. Seriously the best recipe app. I've used it since its inception and I've never been disappointed!!!! This app has absolutely sucked for over a year now. How come I still have to log out and back in before my added recipes appear? How come I can’t delete my recipes on the app? Why can’t I change from public to private my create recipes!!!!? The app glitches terribly, would like to see app have better search engine as well. Like the layout and idea of the app. Like you can copy url and it will upload recipes. But still too many bugs. Recipes don’t get saved add them but don’t save in my recipes. Some of the buttons on iPad are not working, such as clicking to add to want to try. 0 success with adding recipes on my computer and they are not converting to my iPad. I absolutely love this app!! The recipes are always detailed and delicious. I will probably use this app forever lol. I used to save recipes on multiple sites. Then I couldn’t find them. Now they are all on big oven together. I can edit, make notes, customize, look up recipes that I need in one place. They also have thousands of recipes for me to search and compare. Plus, ratings and reviews. I love it. I specifically use this for Keto/Low Carb diet planning and I love it. I’m sure it works just as well with other plans as well. As I chose Low Carb preference, everyday the home page shows new recommended Low Carb recipes for me. Love that. With the pro I can organize all my recipes just how I want them. I can create my own recipes or make others Keto. I love that I can control exactly what ingredient it is reading to give me correct nutritional amounts. Love the meal planning. I took off a star because the recipe import feature doesn’t work very well. Mostly from Wordpress sites, which most bloggers use these days. They need to develop a wordpress plugin like Yummly did to make it easy for us to post to BigOven and it would also promote their app. I just did not like Yummly, so I manually do most recipes. Fortunately, most recipes I find are already in Big Oven! This thing does not lack for choices in low carb / Keto recipes. It’s truly mind boggling. I could not see where we could link one recipe into another and if you could add it’s nutritionals. For example, Eggs Benedict, would love to incorporate or at the least link to my low carb hollandaise sauce. Now it could be here but I haven’t figured it out yet! Anyway, I have tried all the apps on the market and this really is the best one I have come across. The most recipes, nutritionals, meal planning, grocery list, organization. Love using this app to find recipients for dinner parties. Also great for giving you ideas! Love the shopping list feature as well! No idea how to find recipes. The home screen was blinking like crazy- some sort of glitch. Deleted the app after 5 minutes. Always helpful for changing things up! My family only likes it can eat certain foods. To make the same recipes time after time gets boring. I can always check with Big Oven for new ideas to make the same old thing something new and exciting. It helps me introduce new ingredients into our diets, too. Love it! I enjoy the variety of recipes this app offers, and it’s easy to use. This is my go-to for recipes. I especially like the Use Up Leftovers feature for meal ideas. I absolutely love “Big Oven”, it is super convenient and great for last minute dishes. I just pull it up in my phone and whether I am at the market getting ingredients or in the kitchen there is always something exciting to try and often with several different options. Love it!!! Best recipe/menu app out there! I have tried a half dozen or so menu/recipe apps. By far, Big Owen is the BEST. Importing recipes is easy, creating a menu and a grocery list with just a few clicks. Worth every penny! My go to app. ‘Nuf said. Until recently, I loved this app. Now it constantly jumps from recipes that I’m trying to read to ads for other apps. I go back to Big Oven and in short order it takes me back to other apps that are trying to get me to purchase them. Really enjoying the app. Lots of awesome ideas for meals. If you’re a food nerd, there a lot to love. I love this app and I have been using it for several years. Using it to compile my personal recipe book and with the ability to customize recipes that I get from websites and magazines as well as putting in family recipes. I don’t do the scan feature as much but I love being able to edit and adjust the instructions to my liking. Which is adding the amount of each ingredient with in the list in the instructions. Preparing my grocery list is a huge plus and pulling it up on my phone while shopping. Thanks Big Oven! I love that I can double my recipe with ease and when someone ask for my recipe I have it on my phone. It’s not perfect but It’s a pretty good app. So glad I found this ap. Tried numerous recipes and not a single one disappointed. Best in one stop recipe shopping! I frequently and regularly use the app and BigOven.com. For me, The app leaves much to be desired. The biggest issue is that it shuts down spontaneously without any prompting. The recipe suggestions the app gives would be much more useful if you could sort them by some measure, highest rated, cooking time, number of ingredients, whatever. Also, the meal plan interface is just not as user friendly as it could be. The app feels like it’s just huge database, which is fine, but (to be cheeky) it’s not the size of the database, it’s how you use it. This is my go to cooking app. I always find great recipes to make and feed my family with! I use this app weekly for shopping. Most weeks I also meal plan with BigOven then simply add the ingredients to my shopping list. I prefer to meal plan on my laptop to change categories more easily, then I use the app on my phone at the grocery store. Love this app . . .
. . . It’s like part of my brain. I use it weekly to plan menus. I LOVE the grocery list! I save recipes that pop up in FB. I use it daily to prepare meals. LOVE that my recipes are with me wherever I go. My husband even has the app so he can stop at the grocery store for me! I cannot say enough about big oven that will do it justice. I will always find unusual and usual things that other sources do not cover. Highly recommended. My go to for fast and creative meals. Always find a recipe for the ingredients I have on hand. I used to use this app mainly because it had a feature to choose up to three ingredients you want to use, and it would produce an ongoing list of recipes according to your choices. But it’s still a good app. I LOVE this app. I started with the free version and quickly upgraded to the full version. Variety is the spice of life and so should your cooking, with this app you can make the same old proteins into new and mouth water dishes. I have highly recommend Big Oven to many of my friends. As the daughter of a home economics teacher, I am not afraid to substitute items during baking. The Big Oven app gives me the option of comparing recipes and modifying them as needed to suit my family’s taste. I also enjoy the option of being able to add additional notes to myself about a recipe, or search on a pantry item that I have and I want to use in my baking. When I open the app a “warning” pops up on my iPhone. It basically says all my credit card numbers and passwords are being stolen and I need to call the provided number immediately. The app won’t work at all because of the “warning”. When I click the pop up away it comes right back. This app is a danger to have on your phone. Very informative, many recipes to choose from both Nationally and Internationally! I love cooking and trying to cook new things and app helped me do all of this I recommend this if you want to try and explore and make new foods. I’m so glad I found this app. I’m always looking for new easy recipes and this app doesn’t disappoint. Everything I’ve tried I have liked and so has my family. Please keep up the good work. I just loaded the free version of this app. It appeared nice at first but during the first 30 minutes of exploring the app it shutdown 3 times and froze 2 times. I will try exploring it one more time and if issues continue I will delete and look for a different app to try. Always my go-to for new recipes. Tried multiple recipes from breakfast to dessert. Never disappointed. This app is the best when you are on the go and see something fresh and want to make "that" recipe, but don't remember the ingredients or amounts. Can quickly look it up on my phone or find other interesting and yummy recipes, either just surfing through them or need an idea. Only problem has been uploading my own photos. Seems to crash. Other than that, it is very handy. Also able to send the recipe to guests when entertaining and they love what I served and want the recipe. The recipes on BigOven have been delicious and easy to make but most of all there is a place to save my favorites. They give a great selection to choose from for myself and my husband. Big Oven is my go to recipe storage app. Easy to save recipes, easy to find recipes and if I’m feeling like something new, I can search other user recipes. I’ve used Bigoven for two years now, and a pro member for a year and a half. Pros: the recipe list is extensive and comprehensive, and the ability to ‘clip’ recipes from the internet is invaluable for me. The grocery list and the meal planner are also great tools that I use extensively. I love the personalized folders... I basically pulled my ol’ Betty Crocker cookbook out and modeled my folders after that. Love it. They have a ‘menu’ function that I wish they’d flesh out more. As it is, it’s a little hard to access and use. However, it has great potential, and I look forward to the growth of this function. The fact that I can view the nutrition facts of a recipe I’ve pulled off the web is awesome. I’ve been appalled a couple times at the sheer calorie count of some of these recipes. Cons The phone app is a little clunkier to use than the PC version... especially the calendar and meal planning. In order to use it properly, I’ve had to build my week with a computer then view it all from my phone. I appreciate the fact that they honor bloggers and other cooks by making the users visit their sites to view the instructions. However, it makes navigation a pain. If you’re doing two dishes simultaneously (i.e. a main dish and a side) bouncing back and forth is pretty clunky, and the app tends to refresh when I’m viewing recipes, which gets to be pretty irritating... because I’ve got to go find it again. Same goes for accessing a recipe from the meal planner section... it’s difficult to navigate, and refreshes often. Another issue I have with the ‘honoring the creator’ thing: if I upload a recipe, and something goes screwy, I can’t fix it. All I can do is make a copy that only I can see, and then change that. I really wish that customer service was more responsive... though I haven’t had many problems, the issues that I have had were usually met with a ‘well, it works like this on our end, if it doesn’t work for you then try this thing you already tried. Otherwise, *shrug*’ All in all, I’ve got a few bones with the app. It isn’t perfect. But it’s the best I’ve found so far, and it covers all the bases. I have used Big Oven for a lo g time and I have enjoyed it very much. My favorite site actually! It works so easy. Love it - this is coming from a mother of 5. Best way to keep things in line. Especially love the grocery list feature and the integration. And the paid version is well worth it! There are a lot of repeats and untested recipes, but I still use the app to find recipes I’ve heard about but don’t have. Grateful for it. This app has a lot of really good looking recipes I wanted to try but I can’t as it continuously crashes and you can’t click on anything properly as it just flickers like a light on and off. It is not easy to add a recipe to the meal plan. You have to open the recipe, and then from there click to add it to the meal plan, and then decide on the day. It’s not easy to collect all of the rest of the items for your grocery list. You have to open each recipe, and then click the shopping cart to add to your grocery list. The app still isn’t intuitive the way you would expect it to be. There aren’t enough connections between recipes, grocery list, and meal plans. Some work with a few usability and focus groups should clear the problems up if the developers are interested in providing a state-of-the-art application. Ok so far but has crashed a few times. I’ve use BigOven for 3 years and have ALWAYS found the recipes for which I was looking! Great selection of all kinds of receipts. The first time I used BigOven I was looking for a recipe my mother fixed but was lost and since my mother has passed, BigOven was a God send for my whole family! A BIG THANK YOU! Wayne Kincaid Buchanan, Ga. I thought this was a solution to organize my recipes, but I was mistaken. You can only add folders to categorize with a paid subscription. So I paid. Then as I begin to scan printed recipes, I see that you only get 28 scans! None of this was in the summary, which I read before downloading. Guess I’ll be going back to OneNote. The app only has some of the recipes. For others it links you to the site they were published and then get stuck at the boot of the comments and you can’t see the content you were linked to. It also has a habit of closing when you are using it. Definitely not worth the money for a pro account. We do a lot of road trips to visit family. I love to cook for them in gratitude for staying with them. Instead of dragging my cookbooks around with us, I just use Big Oven ! I have so many of our favorite recipes saved and the new recipes are always good to try out !! Helps me come up with ideas cooking! I am testing this app and other 2 and Inam writing this post hoping the support guys can help me out (before the free trial period) with at least the functions that are not working very well So far l am enjoying these functions (Pros): - importing recipes from specific websites (I do not bother typing one or another recipe) - meal plan that can add to the grocery list - suggestions for recipes - scale conversion (from 1 serving to 4 or 8...) - calories calculation automaticately, even when I type my own recipe (this is great) - pre-typed almost all the ingredients - notes for each ingedient where it is possible to work with substituions But I really think it lacks on these features (Cons): - unit conversion (ounces to grams...) - add together in the grocery list the amounts for each ingredients typed the same way (it is very annoying to see 8 lines of onions and have to sum it up at the grocery store) - allow a quick search tool in the grocery list - when typing a recipe, allow to import another recipe together (a sauce, for example) - does not have a laptop version, which makes a bit harder to type recipes (I do need to type a lot of recipes that are originally in portuguese) Also, some features does not function verry well, such as: - the editing my own recipes or sometimes any recipe (I could just add notes) - categorize function nerver works properly - my iphone app does not update (just the adroid and the ipad version) It is also important to mention that I did not test all the functions, such as scanning. This app is all you need to help your dinners get out of a rut. Easy to follow recipes that will quince almost every taste. Great way to keep your recipes in one place. I really like the try category. Keep it till your ready to make it then if you really like it move it to your favorites. Will the makers of this app make a hi liter option to hi lite items on the grocery list? I am new to this app. I got it in Pro form to be able to scan and store all my past recipes. I am finding the scan option is hard to use - it doesn’t read most of my recipes. Also the search mechanism for recipes doesn’t come up with options if you ask for say “soufflé without butter”. I think I can make this work for me eventually - Glad to have it as an option. My family was tired of me deciding what to cook 30 minutes before dinner. I never had all the ingredients and I dreaded cooking everyday. 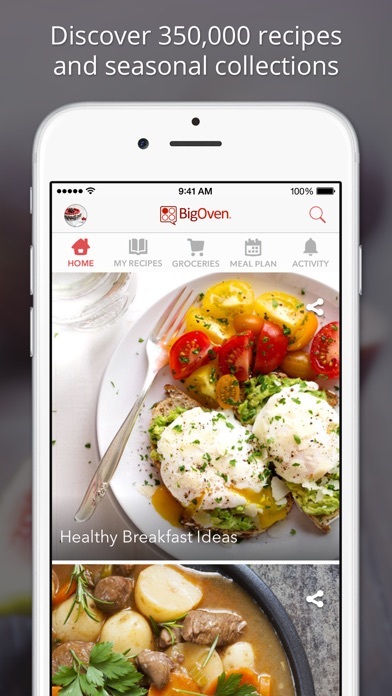 With Big Oven I have shopping lists, great recipes and a menu planner! I can find every conceivable recipe for whatever I want to cook with this app. Definitely worth upgrading to the premium version. This app is a great tool for searching for ways to use an unfamiliar ingredient, or an ingredient that you may have in surplus. I love how easy it is to save, collect, and share the recipes. The best thing about this app is the grocery list, u type and it sorts by categories automatically!!!! Amazing!!! This app has made grocery shopping easy and cooking an absolute joy!!! Love this app! They always have great recipes and easy to navigate! Big Oven is the first cooking website I joined, and it is still my favorite. I like how it is set up and operates. I can always count on finding new and interesting (and tasty) ways of preparing my favorite entrees and sides, and am often tempted to try something brand new to me and those I love. This is my go-to section when trying to figure out what to make for a meal. When recipes load up, it will cause all of the other recipes to Grey out spontaneously. This issue needs fixed. Need to be able to delete recipes I no longer want. This is the best app I have, I love it!! It has about any recipe you can think of!! I use this app a lot!! I use this app every week. It lets me neatly add and file my own recipes and any that I find within the app or online. 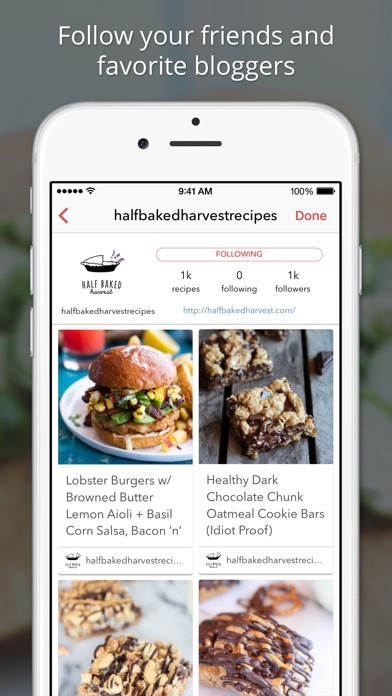 It’s a breeze to add recipes from your favorite food blogs or sites. 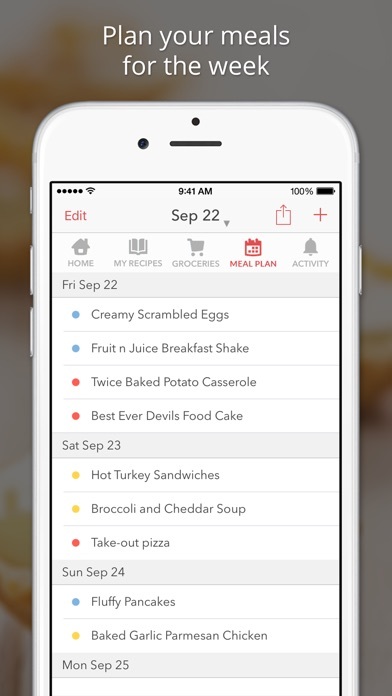 It easily scans the ingredients in my my weekly meal plans and makes a grocery list for me. I recommend using the BigOven shortcut in your browser toolbar for easily adding recipes from most sites (has to be in recipe format). This app has made meal planning a breeze for me. Thank you! Using the app was a bit clunky at first because some of the features were not available on the basic version, so you had to upgrade to the pro which I did not want to do before extensively testing this app. A lot of my questions to the customer service were answered by simply suggesting that I allow them to make the changes for me on their end, which is a bit strange given the fact that I want to be able to make all of my own changes. The customer service team did not seem at all concerned with my frustration, I was unable to link the Web app with the mobile app and that once again was tackled with a “why don’t you do it this way“ and so after a few hiccups I decided that I wasn’t going to mess around with it anymore. And once again The customer service department did not seem to care that I was going to look for a different app and not continue to use this one. So I cannot recommend this app to anyone for that reason, I recommend that you guys find an alternative. Great variety and new recipes constantly added. 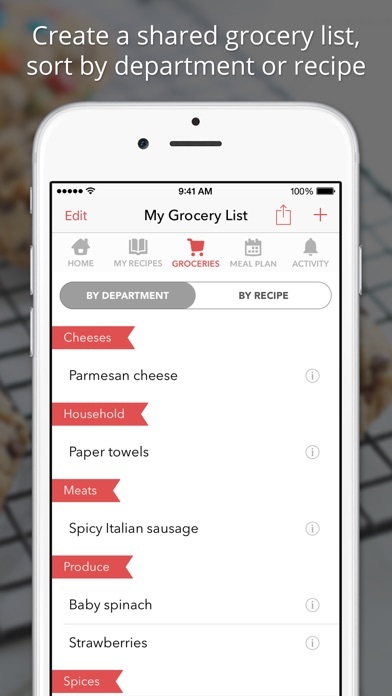 The grocery list saving feature has simplified and focused that chore. The free version has plenty of functionality...after 6 months, I’ve felt no lacking or need to upgrade. Great app. This is a great usable app! I've found many new recipes and I love that I can scan my own!! I have been a pro member using this app for over 10 years. I have recommend it to so many friends. My favorite part of the app allows me to share recipes easily. If friends want my recipe for something I just whip out my phone and share it right on the spot. I just wish I could say, “Hey Siri, Add milk to my BigOven grocery list”. Favorite go-to app for cooking anything! Thanks to all who contribute recipes, write reviews and tips! I love the Big Oven app. I use it all the time. I especially like searching for different recipes for ways to prepare & cook meals. Some recipes are easy & some are more complicated but I love to get ideas from them all. I also like that there are a lot of recipes for the Instant Pot & the crockpot!! I have looked for new recipes and find ones that I like with the ingredients I have on hand. They have a lot of unusual recipes that I make and people love them. Thank you. I use it all the time. Lots of great recipes. I love this app!!! I can find almost anything I want to make on it. Even the things that I haven’t tried, the people that leave reviews are helpful. To say the least, I know if I want to try it or not. The only reason I give it 4 stars is because they do want to charge you after a certain amount of recipes saved. I’ve used the app for a long time and have made some pretty amazing meals from it. On the down side, the amount of recipes you can save is limited. I use it not only to find recipes for something I have a hunger for but also to give me ideas for new favorites. Easy to use. Excellent app. It covers all types of food. I can find vegan recipes for me, vegetarian for my daughter, and traditional American meals for my husband. We use it every weekend to plan the week’s meals and the shopping list. I have recommended this app to so many people. They love it as well. I am very happy with this app. I Love that you can send great recipes and that there are so many many many many recipes for even something strange like preserved lemons It’s so easy to use far better than googling a recipe. A five star winner!! Easy to use and plan meals from regular cooks. Thanks. Big Oven is my go to resource for any recipe I am searching for in my cooking or canning. LOVE this app! All your recipes at your fingertips on your phone where you can access them at the grocery store. Share with friends or on Social Media. The shop feature is great. The only issue I have is with "clip recipe" from web. Out of the 10 times I have tried to use this has only worked twice. I know this feature is only compatible with recipes from certain sites, just wish it would accept any recipe from less popular sites. But I still love it! I also really love that I can take a photo of one of my Grandmother’s handwritten recipes and save it to my recipes on the app. A MUST HAVE for cooks you can find so many new recipes and rediscover old favorites! I use to love Big Oven before they changed. I could plan my menu 2 months in advance and move recipes around. I DO NOT like the change. I’m still looking for something like it used to be. Every time I open this app and scroll through the different recipes, there is a glitch that starts all the pictures flashing and flickering and then I can’t open anything to look at it. I have closed the app, restarted it, even deleted and re-downloaded and still get the same glitch. At first I thought this was a great idea. I bought the yearly subscription. Wish I hadn’t. It won’t update my edited recipes, I can’t figure out how to delete my own recipes that won’t update!! No real “how to” that it can find and frankly, if there is I don’t have the time!!! I spend more time screwing around with this f$&@$&ing app than I do cooking!!!! I’ve loved BigOven for years, needs minor fixes. Existing issues NEVER addressed. Sent countless emails just to receive a response saying they’re gonna update the app soon. They updated it this time and not a single issue has been fixed. This dev team is horrible and the app has never improved in years. Go elsewhere. UPDATE: No I won’t contact your support again because they do nothing!!! Same issues: if you edit the recipe it DOESN'T SAVE IT!!! Only way to view it is via editing it again to see updated recipe!! Ridiculous!! Also not being able to change privacy from mobile. On and on and on. Takes over 20 mins for a recipe to show up that was imported. Can’t edit web imported recipes (without premium— really?) aborted while I was adding a recipe which was time consuming. I really like this app but I have problems with bad links in the app. Can’t get enough Big Oven in my life! Can't tell you how many delicious meals I've made from recipes found in this app. I've used it for a long time and can't think of any bad things to say about it. Solid. I keep going into the app and seeing “updates” from the app from 15 weeks ago. They can’t even bother to update their app. My go to recipe app. I use it a lot. I had used this great app for years and after an update it now requires you to create an account to login. I guess they want to track your usage to send you unwanted adds. Deleted app. Simply the best recipe app! Love being able to find some great recipes on big oven from lots of different sources! Helps me make some awesome food for myself and my children! Great App, sorry I didn't get it sooner! Great app when you don’t know what to make but crashes when I try to edit my review. It’s just mostly America food recipes with very little creativity. Boring. I really enjoy using this app. I am thankful to have all of the recipe options at my finger tips! Now my wife and I can diversify our meals with just a quick glance at this app. Recently we have been incorporating more vegetarian dishes and this app has been very helpful! The best feature I think of this app is the use up leftovers feature. You go to search and you select use up leftovers and you can enter up three ingredients that you wanna use up and find recipes with those ingredients! Makes cooking lot easier being a dude!!!! Big Oven is one of the first recipe apps I started with a few years ago and they’ve made quite a few changes since then that make finding/saving recipes must easier. I enjoyed using it and would definitely recommend updating to the Pro version. This app is almost exactly what I’ve been looking for! I’m very happy with how easy it is to use and navigate. Thank you! This is the best all-in-one I’ve found. I just wish it wasn’t so sluggish at times! This is a great app. You can find any recipe on it very easily. I use the app all the time! First recipe I tried I clicked on “show recipe instructions “ and app was hijacked by a full screen ad. Couldn’t scroll, click or continue. Had to quit the app and try again. On second try the same thing happened. Maybe this is how they get you to pay for pro subscription. I don’t mind ads but there’s no way to continue using the app and there’s no way I can find to contact the developer from the app. I love this app you can find and try so many different recipes.I let all my family know to try Big oven . Haven’t bought a cookbook in years don’t need one I have big oven. Who needs a cook book? Endless recipes! Easy to navigate. Built in shopping list for each recipe and u can check off the ingredients u already have so u only buy what u need at groceries. The app makes a non-cook like me seem like I’m a good cook! One of my favorite apps ever! This new version is terrible. Can’t add recipes to “favorites” or to “to try” lists. While it did import those lists from the older version when I signed in, when I tried to print one of those recipes the app crashed. When I reopened the app, the recipe I had tried to print had disappeared from my list. This app is not an improvement at all. I will stick with the older version and if that one stops working eventually I guess I will have to find another recipe site unless you improve this one. Very disappointed in Big Oven as you are generally my go to source for good recipes, the main reason being that your app was so easy and had great features. This is a great app!! I’ve always had problems coming up with meal ideas, and this helps so much!! And, it makes my shopping super easy!! I absolutely love this app!! I use it all the time!! This app is great. You can build your grocery list, plan lunch, cook dinner, or anything else you need to do all in this one place. It’s very helpful and convenient. This app's biggest gift to its users to me are that you can find simple good flavorful recipes or more sophisticated traditional recipes. The time and skill you have generally determines which you choose. The fact that BigOven works across platforms, combined with the ability to share things like grocery lists, make this app incredibly useful. The recipes I have made have all been really good. I appreciate being able to add recipes from anywhere on the internet too. Meal planning saves money and we eat healthier meals when they are thought out. I recommend BigOven to people all the time and I have for well over 5 years. A lot of resources has gone into the making of this app and service. 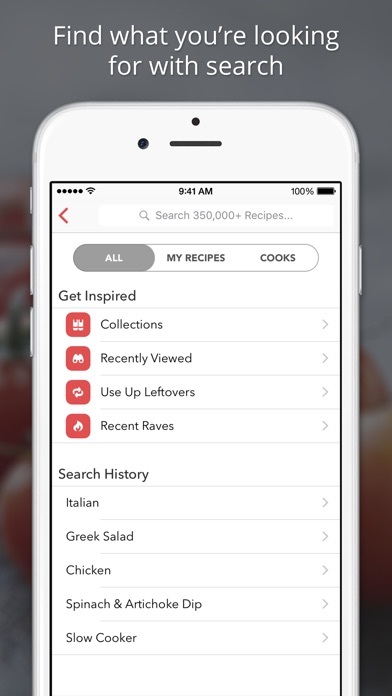 I wanted an app specifically designed for scanning and cataloging recipes. Unfortunately, after signing up for the pro service to use the 30 day trial, the app/service didn't do what I wanted. You are limited in the number of recipes you can scan unless you pay more. And if you want to add community recipes to your own book, you can't edit them in any way. I attempted to cancel my subscription via their support center (I was less than 30 days into the trial) but I still got charged for the full pro service. After filing a second ticket, I still have gotten no response to either request. The service and app might have a lot of resources put into their importing algorithms and community contributions, but their support center is in dire need of help. I cannot recommend Big Oven to people. This has got to be the absolute worst recipe app/website ever. It is not at all user friendly, it takes forever to add your own recipe, “Clipping” function doesn’t work at all, cannot sort my own recipes, and trying to find help for how to use this stupid app is harder than using the app itself. Complete waste of money and time! This app has been not just a help but a necessity with planning family meals. Stepdad (who must be gluten-free and dairy-free) finds dishes and makes a meal plan for the week. Then Mom grocery shops and chefs it up. No more “oh no what’s for dinner” and we then list the meals on the whiteboard so the kids know (and mom doesn’t have to hear “what’s for dinner?”) I was skeptical at first but it’s super great, so convenient, if you try it you’ll see. Big Oven is so easy to use and search recipes for any occasion. It saves me so much time from looking through my cookbooks for a recipe!! Love it! Can't complain in any way, shape, or form. It's organized so well! Best app ever! I love the different recipes. I can always depend on finding the perfect recipe when l need it. This recipe and meal planning apple is good for one meal or a family dinner. The shopping list option is magnificent. Everyone can use it from the bachelor to the parent of 4 to 8 I Don’t know how I lived without it. I used to use this app and loved it. I opened the app up today and it asked me to update the app, which I did. When I opened up the app, it now requires an account via Big Oven or Facebook. I don't want to have to login to just lookup a recipe with yet another login/pw that tracks my every move. The app is now deleted. Great app - use it every week. I use this app almost every week to plan meals for the week, and it automatically builds my grocery list which I can then open at the store and check items off the list as we go through the store. I upload recipes from the internet that I like, and use the search capabilities to get recipe ideas. The support is good too. I wish the iPhone app grocery list made it a little harder to check things off. I often inadvertently mark something off the list just by scrolling down the list using my thumb on the side of the screen. It has an undo button but when I’m at the store I dont always notice it until I’ve left the store and don’t have everything on my list. It should have a confirm button or some second step before crossing it off the list. Thanks! Love Big Oven!!! I use it often! For years I’ve dealt with your glitchy app, only for it to get worse as you simultaneously take away functionality from your desktop site. I’m in tears finally!!!! How can anyone function like this!?! Especially around Thanksgiving! I have to transfer ALLLLLLL my recipes to a reliable service elsewhere. Shame on you. You won’t get another dime from me. Shame on you!!! I always find the recipes I’m looking for or an even better different one. I love browsing through to get meal ideas for the week. I have been using Big Oven for several years now. The receipts are great and it is so easy to use. The shopping list feature is my main app for shopping. I add the items I need from receipts but also add the other items I need. It’s organized by department so it makes shopping a breeze. Opens a world of great cooking ideas and methods. You can always find food that fits you and your family. Invite yourself over for breakfast, lunch, or dinner. I’ve used this app for a few years, but when I tried to use the search feature this morning I was hijacked to a “survey”. I deleted the app. What a shame. I’ve used this app for several years and it never disappoints! I’ve always found the recipes I’m searching for or a scrumptious variation of same. I seldom use my cookbooks now....no need! I ant say enough good things about this app! It is everything I have been wanting for my meal planning and cooking needs. It’s super easy to set up meal plans, grocery list, and recipes. It works seamlessly with the web site so I can go shopping without a paper shopping list. Awesome app! Always find something yummy without all the hassle of getting redirected to other sites. Would recommend for even the best cooks...just to find new recipes to enjoy cooking! This app has helped me to improve my cooking and has given me more meal ideas. I started using Big Oven when it was a program on my computer. I loved it then and now that it is cloud based, it is even better. I can access my recipes anywhere and can create shopping lists. I love the menu planner and use it everyday. Can’t miss with this app. Love this app and haven’t had to upgrade to pro. This is what every busy family needs. I added recipes for the week into my favorites and then loaded the ingredients into my grocery list. This made grocery shopping a breeze (I swiped the items we already had at home) it definitely saved my money! I’ve made two of the meals so far and they were big hits with my family. We were sick of the same dinner rotations we’ve been eating for the past five years and I’m not creative enough to do it on my own. So yeah def get this app! Very helpful on recipes that I’ve never thought of and easy to make. Probably used Big Oven a 1000 times for cooking ideas and techniques. Sometimes the instructions are a little weak but there are always multiple ways to fix the same dish so it is always best to read several recipes to find the one right for your taste. It would have been nice to be able try out this app but the fact that I can't set up an account because it says failed attempt. I tried using my email and Facebook neither worked. I love this app. There are so many great recipes. You will never run out of recipes to try. Better than any cookbook you could own. You could spend hours just looking at all the pictures. It’s nice to have reviews and ideas that work and some that offer tips of things to try to change it up a little bit. It is wonderful to have so many people sharing their recipes. On the iPad version, the keyboard keeps disappearing so it took forever to type. Then, the recipes failed to save. So frustrated, I deleted the app. I love everything about BigOven...get it and you will love it too! I whip this out all da time!!! Big Oven helps me organize and sort my favorite recipes. The newer version makes it so easy to import recipes. I appreciate the search filter options. Very efficient. Besides all that, it's just fun to use! It's like having your Mom & Grandma all the time when I need to get new ideas for cooking or planning large holiday meals. I'd be lost without this app! Thank you so much! BigOven has been my go to app for all seasons when I want a recipe to enhance my cooking. Holidays are so easy. Many choices and user friendly app. Love it. Big oven great for all meals and desserts unlike cookbooks you choose the Recipe you want from different Versions. I’ve been using this app for years. The new version is not allowing me to clip my recipes. I’m very disappointed. Love this app! I’ve found so many great recipes; it’s my go to when looking for something new. I enjoy reading the recipe comments too, lots of good feedback. I do love this out, and I use it every week to plan my meals. I’ve had no trouble with adding in recipes or editing from other sources to customize for my use. My biggest complaint would be the grocery list… I’ve used other grocery apps in the past that I was able to customize the categories to correspond with the way I shop, and they also were able to save commonly purchased items that ended up on the list every week. I find myself editing the categories of most items that I put on my grocery list every week as the assumed categories are inaccurate. Fixing this feature would make this the ultimate grocery and meal planning app. I have used Big oven recipes on numerous occasions and find them concise and easy to follow, and I'll add delicious. I have told all of my family members, friends, and employees how easy this app is to us. My husband and kids love these recipes. I personally have a small oven, since I m only cooking for myself. I use this app to try new recipes and find ways to use leftovers. I use Big Oven a few times a week and it’s great for saving my own recipes. Keep up the good work!! I use it every week and love that I can put all recipes in one place. Just wish I could use it when ordering groceries through shipt. Instead of rifling through what has become an overwhelming chunk of recipe books- trying to recall that one for the oyster stew I liked- I can use Big Oven, I can save my favorites, AND I can set free an entire 30 year collection (ok, I saved some of the best pages) of well-intentioned cookbooks. Love this app- & that the screen stays on so I don’t have to worry about losing the recipe! I use this app all the time. Great variety of foods and especially international eats! I don’t pay for very many apps but this app is TOTALLY worth every penny! The ability to make grocery lists is great but the best part is the sheer volume of recipes it has. It’s like having every community, mom’s & grandma’s cookbook on your phone, iPad or laptop! Keep up the good work! Great for finding recipes and verifying ingredients for old worn written recipes. For a paid app ($25) I'd expect it to work much better. - app doesn't sync to website - shopping list is super buggy, anything you have checked off unchecks if you switch between views - adding recipes is difficult from the mobile app Overall, needs a UX review. I miss the ability to have the app calculate change in serving size when using my iPad. That went away in one of the upgrades and I would love to get that back. Even without I use this app religiously and highly recommend it. This app is great for figuring out what to make when I haven't prepared ahead of time. I use the Use Up Leftovers to search for recipes that include ingredients that I have on hand. I really enjoy this app for my meal planning. It comes in handy for last minute meals too. I recommend it for everyone. I love the pictures. Where do my recipes go once I upload them? This app is so fiddly. Sorry for the language but I have uploaded many recipes and they don’t show up? Very complicated to use. I don’t get what I am missing with all these wonderful reviews. Working on a no starch/sugar diet. Big Oven is fantastic for low carb recipes! Thanks Big Oven. Very quirky app on the IPhone. Seems to be no rhyme nor reason as tomwhetger or not an edit will take and I still receive ads after buying Pro. Love this app!!! Only one I use!